If you like open world games but also like plenty of shooter action you’ll love what Far Cry 3 brings to the table. The game is the third in the series and mixes a number of different genres together which proved a successful formula with gamers and critics. 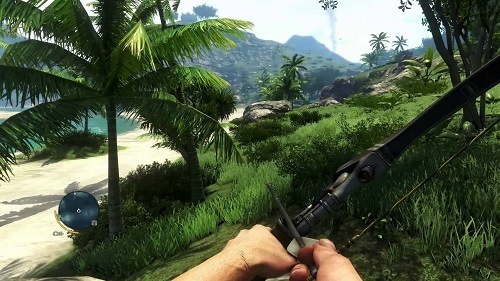 Far Cry 3 uses a first person perspective and takes place on a tropical island. The player is free to explore the island as they please while they attempt to save their friends and get off the island. Players can focus on creating large firefights or relying on stealth tactics for success. Don’t shrug this game off as a simple FPS despite the impression you might get there are plenty of role playing features under the hood which create a Skyrim in the jungle feel to gameplay. The open world is also reminiscent of something you’d see in a Grand Theft Auto game rather than a FPS. 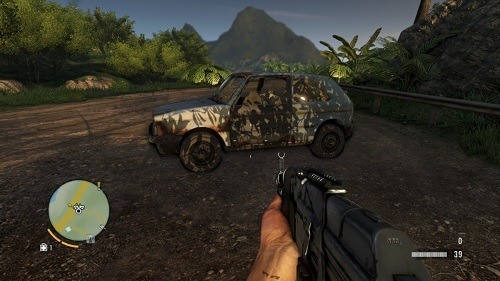 Far Cry 3 has a huge list of available side mission for players to explore on top of the main quest which can be tackled at your own pace. Many missions have plenty of options built into them allowing you to approach each mission in multiple ways. The world is fairly dynamic and reacts to actions by the player, for example if you clear out enemies from their outpost you can push them off their territory to create a safe haven. As you complete more quests you’ll have access to more equipment which can be purchased or crafted from materials in the game world. Combines open world, RPG and FPS gameplay into one. Explore a vast tropical island. Lots of skills to level up to create your ideal character. Collect materials and hunt animals to create new gear. Interesting setting with plenty of side quests to bring the world to life.